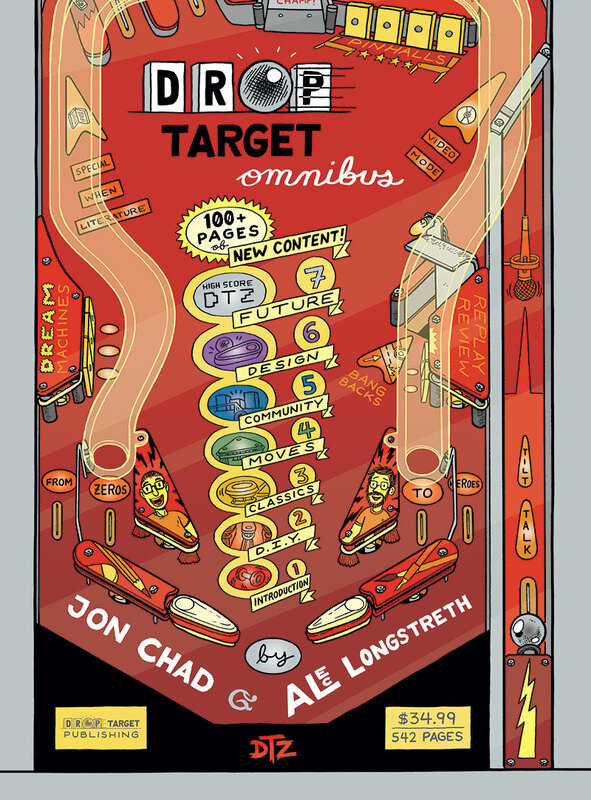 From 2010 to 2015, cartoonists Jon Chad and Alec Longstreth collaborated on an illustrated pinball zine called Drop Target. This 542-page omnibus collects all seven issues Drop Target, plus it includes more than 100 pages of bonus content. It’s a book chock full of pinball reviews, interviews, tutorials, comics, illustrations and reportage. If you’re into pinball, then this is the book for you !